Card #574. 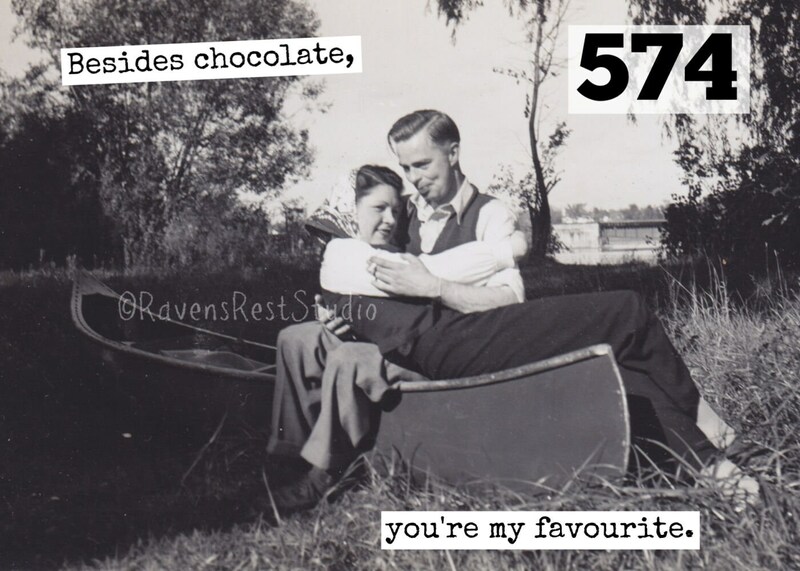 Besides Chocolate, You're My Favourite. Greeting Card. Vintage Photo Card. Gift For Him or Her. Love Card. 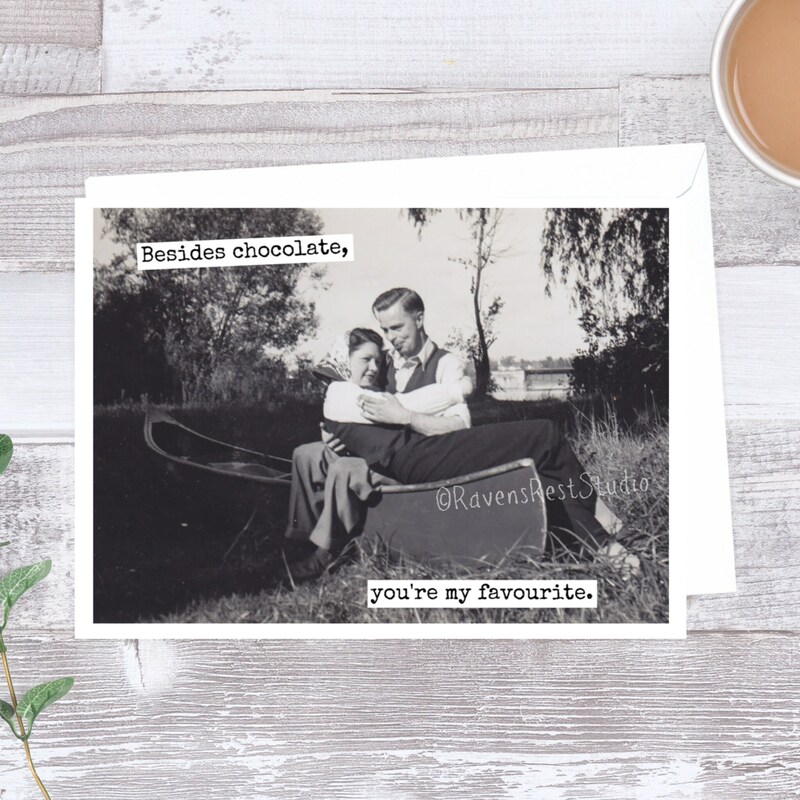 This card features the cutest vintage couple in a canoe and reads: "Besides chocolate, you're my favourite."